Sometimes forts are big projects that take a lot of time to build, and require advanced planning and materials. One of the most fun birthday party ideas is to have an Inflatable Bouncy Castle . 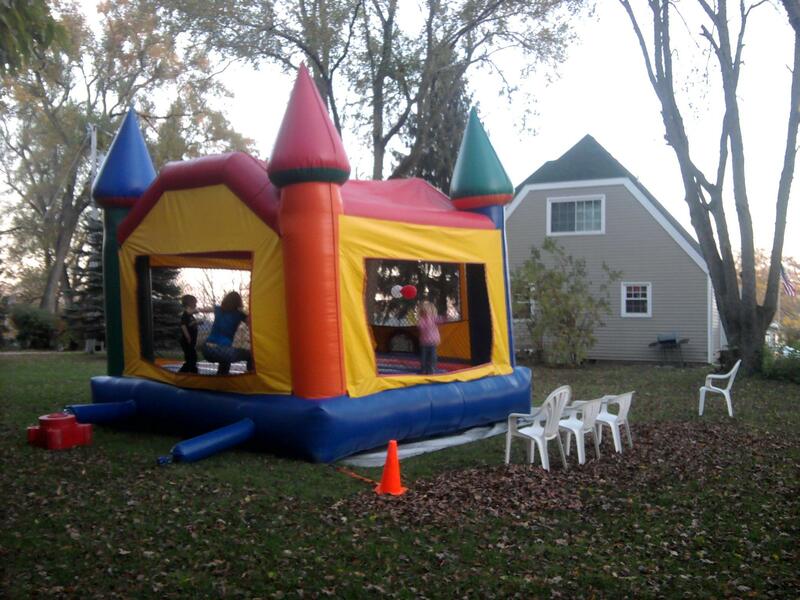 This is a highly durable fort that can be rented or purchased. If you’re worried about the size of your bouncers, don’t be! We had about 10 kids in there at once, and myself (at about 225 pounds) and didn’t have a single issue. I would advise that you ask the rental company if they have a weight restriction, or consult the owner’s manual before filling the inflatable with children. Bouncy castle rental in our area ran about $125 for the day, and was a lot of fun! The setup and tear down was done by the rental company.